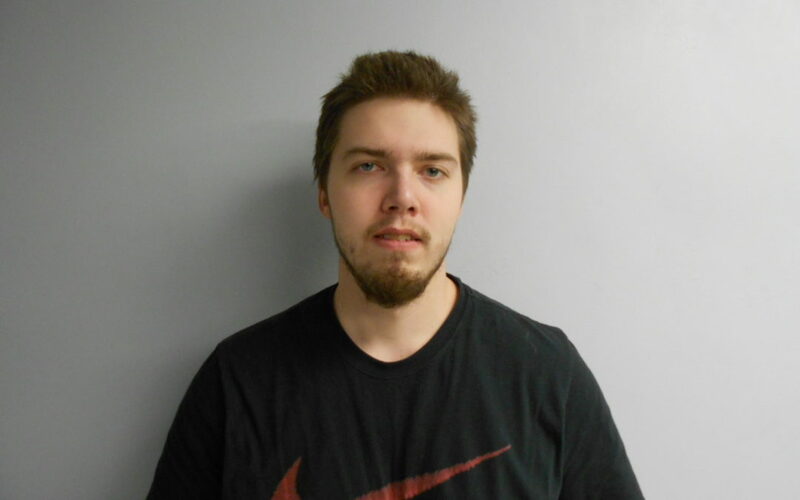 The Concord Police Department has arrested Zachary Snyder, 24 of Concord, in connection with anbrattempted robbery of the Dunkin Donuts at 101 Loudon Road that occurred onbrDec. 6, 2014. He is accused of attempt to commit armed robbery (class A felony). “On December 6, 2014, at approximately 12:07am, Concord Police Officersbrresponded to the Dunkin Donuts at 101 Loudon Road for a report of an armedbrrobbery. Two victims were identified, both of whom were store employees. Theybrstated that an unknown male suspect entered the store wearing a mask over thebrtop of his face. The victims stated that the man approached the counter andbrpointed a black-and-gray handgun at them, stating ‘give me the money.’ One ofbrthe victims stated that she refused, and the suspect made the same demandbragain. The victim stated that she again refused, and that the same exchangebrtook place a third time. After telling him ‘no’ for the third time, the victimsbrstated that the suspect fled the store. No injuries were reported and thebrsuspect did not obtain any money. The victim later reported that she was notbrtrying to be brave, but was in shock during the incident and was terrified tobrthink about what could have happened. “Surveillance images were soon obtained and released to the public. “On January 7, 2015, at approximately 10:40pm, Concord Police Officersbrresponded to an alarm at the CitySide Grille at 25 Manchester Street. Officersbrfound signs that an unknown person had forced open a door to the restaurant.brThey soon encountered a man coming out of the restaurant carrying a pry bar andbrhammer. The man was arrested for Burglary and was identified as Zachary Snyderbrof Concord. Snyder was later held on cash bail at the Merrimack County House ofbrCorrections, where he has remained ever since. “During the arrest process, officers made several observations leadingbrthem to believe that Snyder was the suspect who attempted to rob the DunkinbrDonuts. Among the observations, Snyder fit the physical description and wasbrwearing a distinctive black knit cap with eyeholes cut in it, which when pulledbrdown was consistent with the mask worn by the suspect in the attempted robbery.brThey further observed other articles of clothing consistent with the robberybrsuspect. Detectives followed-up on the investigation, executing multiple searchbrwarrants on Snyder’s vehicle and home. This led to the recovery of additionalbrphysical evidence implicating Snyder. “This incident was one of two armed robberies that occurred in Concordbrin December 2014. It should be noted that Snyder is not a suspect in the otherbrrobbery, which occurred at the Tedeschi Food Shop at 201 S. Main Street onbrDecember 16, 2014. “Both investigations are ongoing and anyone with information about thesebrcrimes or suspects is asked to call the Concord Regional Crimeline at 226-3100.brAll calls are strictly confidential with rewards of up to $1000.